Buffalo State College dedicates this page to the Bengals who’ve passed away while enrolled at Buffalo State. 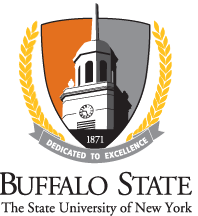 Every student contributes in no small measure to the Buffalo State community. Beginning with the 2017-2018 academic year, we list the names of those students who’ve fallen. We hope that this page serves as a place for family, friends, fellow students, faculty, and staff to honor their memory and celebrate their lives.